The Royal Compound has existed since 1924. 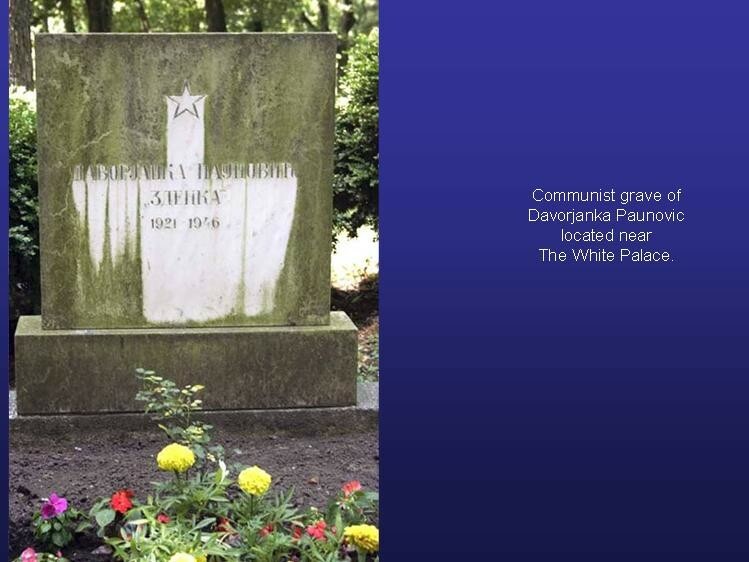 In such a short time the compound served as the most important residence of a country that changed nine names times, two systems of Government and two dictators. 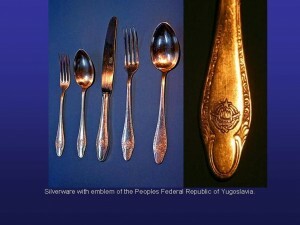 The Royal Palace is today a symbol of big changes that engulfed Serbian and Yugoslav society during the 20th century. 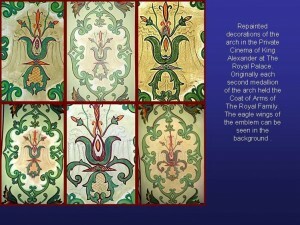 It is interesting to note that during the time of King Alexander I and Queen Maria, the decoration of The Royal and White Palaces did not include explicit Dynastic symbols and Royal insignia, if we exclude the Byzantine two-headed white eagles in the decoration of the arches in the basement of The Royal Palace. 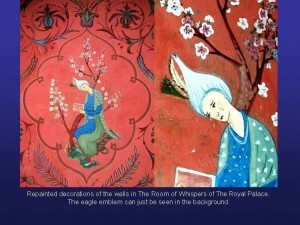 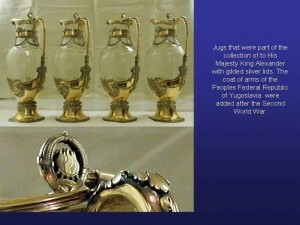 There are numerous artefacts, paintings, photographs and testimonies in The Royal Compound, testifying to the interior adjustments of the Palaces after World War Two. 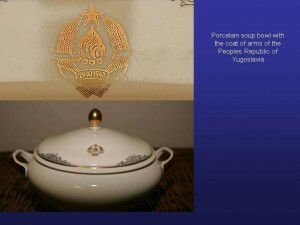 There are three types of symbols of the Communist regime. After the Second World War the regime’s used as they saw fit The Royal and White Palaces. 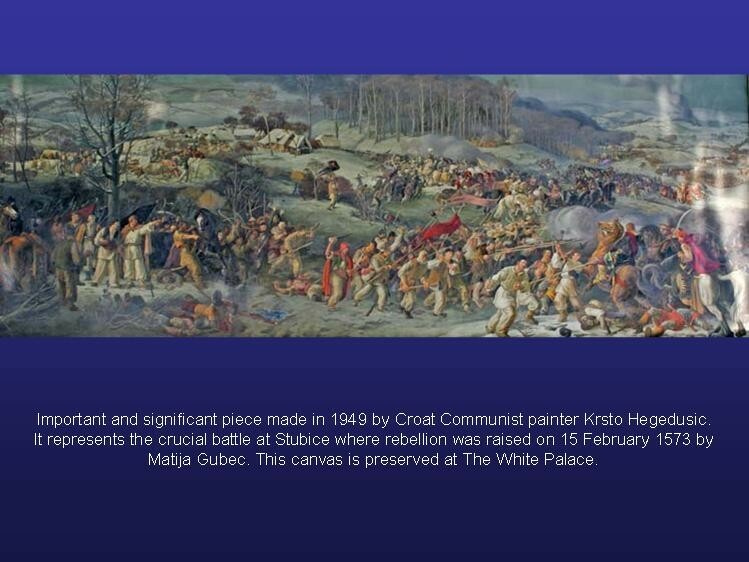 The regime’s legacy in The White Palace represents a significant segment of its history. In a certain way the inherited condition of the Royal Compound until 2000 represented the history of a failed political experiment of the former Yugoslavia. 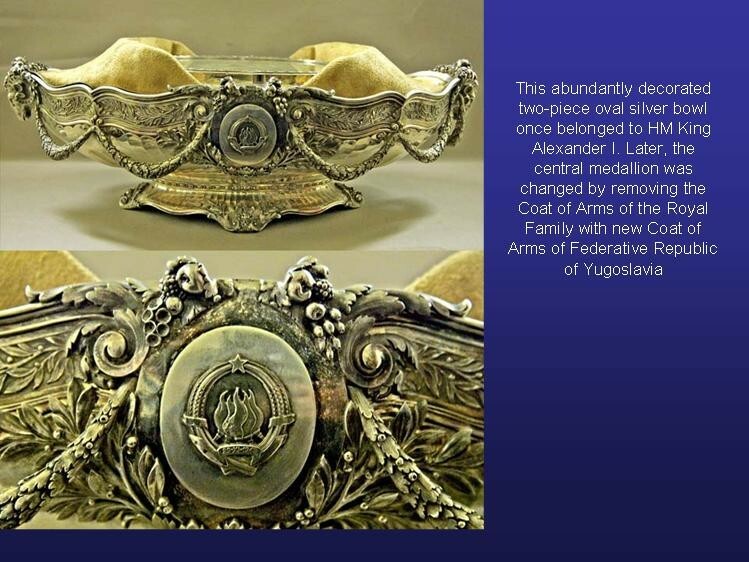 HRH Crown Prince Alexander II says that “only dictators erase and cleanse history”, and so the symbols of the period from 1945 to 2000, will remain in memory of the times that have passed. 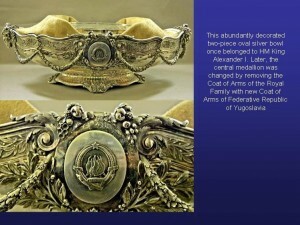 The first is the consequence of the wave of victorious vandalism. 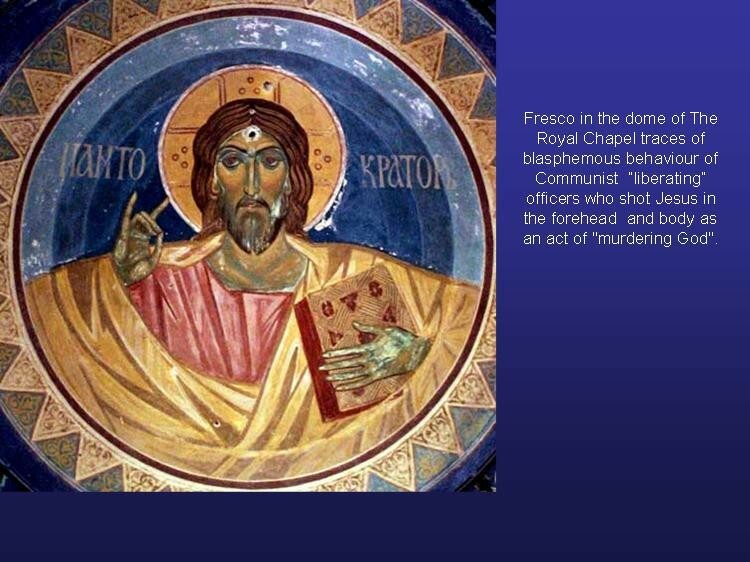 In the dash of the “liberators” the first to suffer was the Royal Chapel of St. Andrew The First-Called, the testimony is found in the desecration of frescoes, of the iconostasis. 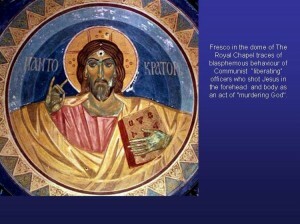 Visitors will see bullets holes, which were fired at Christ’s forehead, heart and aureole. 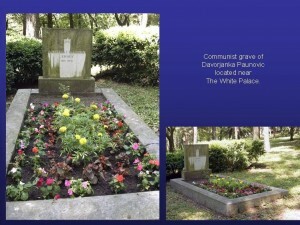 After 1944, the chapel became a warehouse for gardening material. 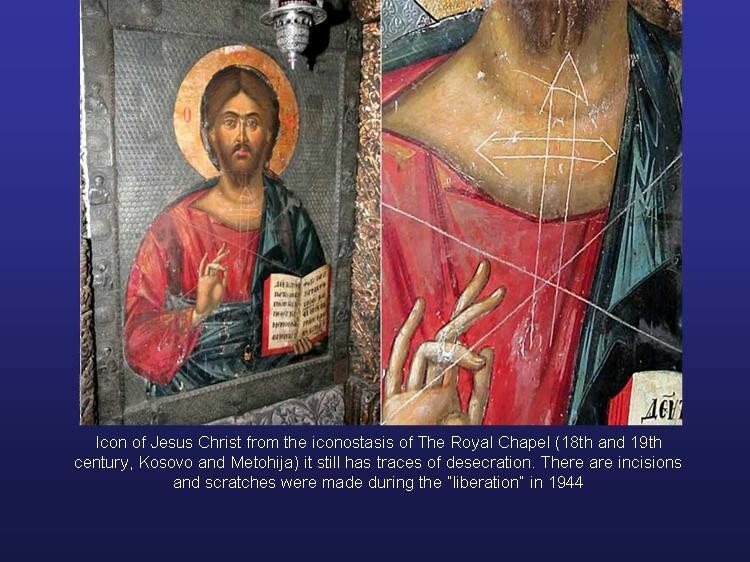 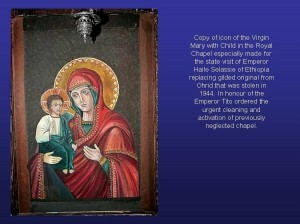 The precious icon of the Holy Mother of God with Christ, engraved in gold, originally from Ohrid, disappeared. 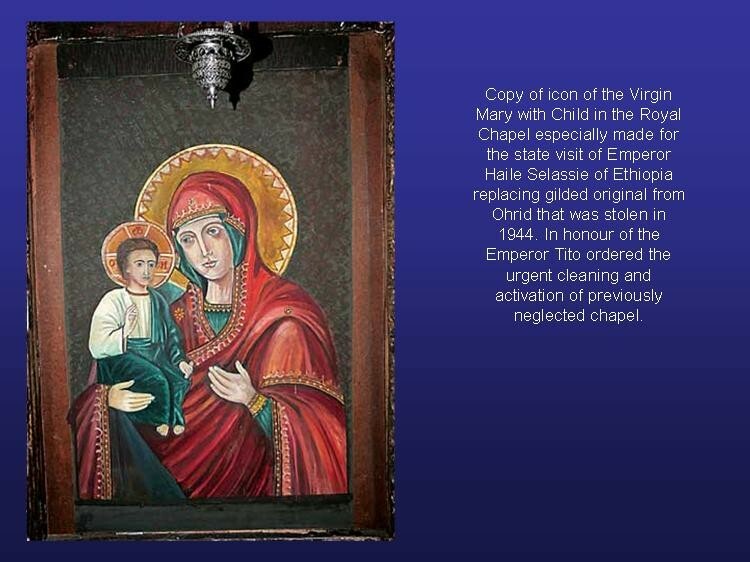 In 1953 when Emperor Haile Selassie of Ethiopia, was about to visit, the missing icon was quickly replaced by the existing copy, and the church was cleaned up and re-consecrated. 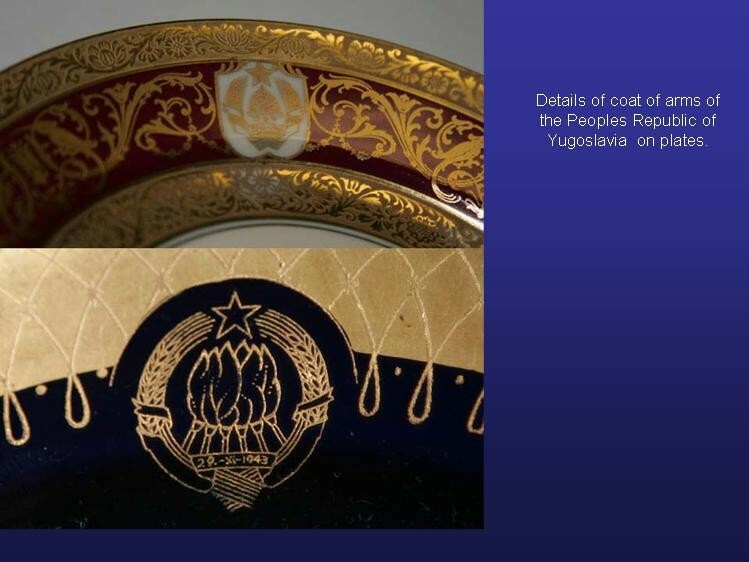 The other Communist symbols are the result of the systematic endeavour to remove symbols of the Yugoslav Monarchy from The Royal Palace, by applying neutral motives or performing unobtrusive ideological changes. 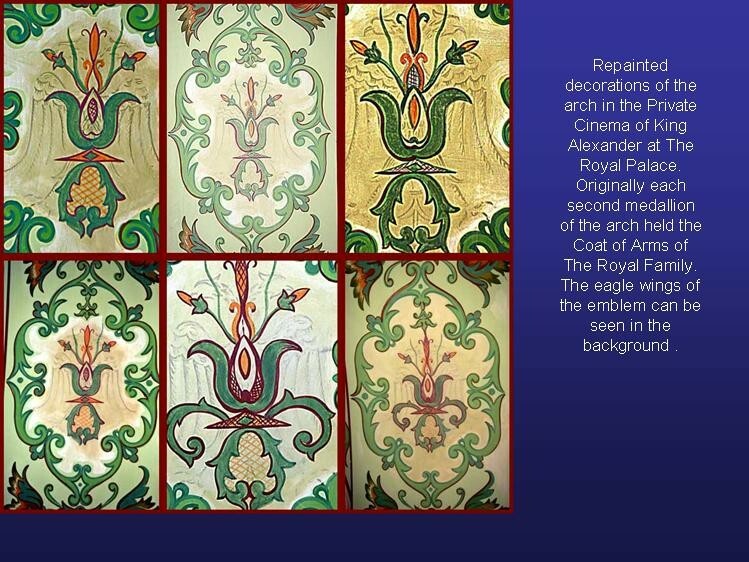 These symbols are most visible in the decoration of the basement of The Royal Palace – on its walls and arch decorations. 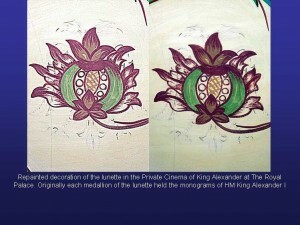 The medallions with two-headed white eagles have been repainted, to fit the imaginative decorations of Russian masters, in both colour and motives. 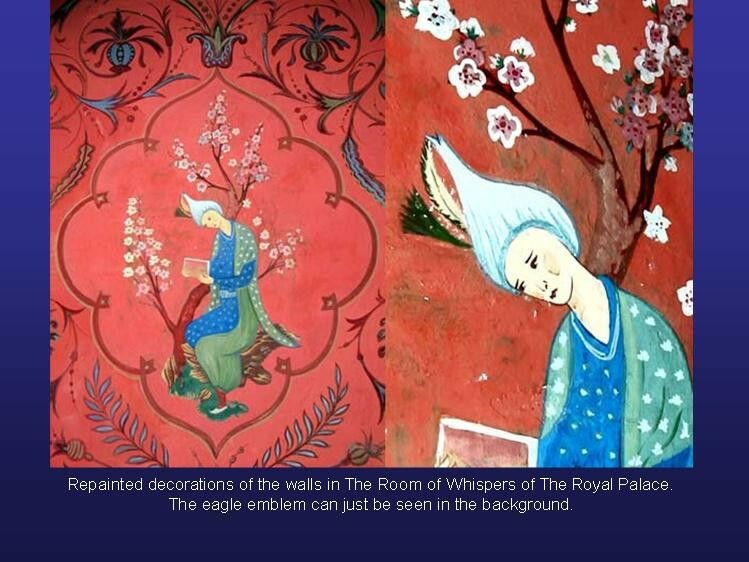 Especially interesting motives can be found in the Card Salon, where the Byzantine two-headed white eagles on medallions were subtly replaced by red stars. 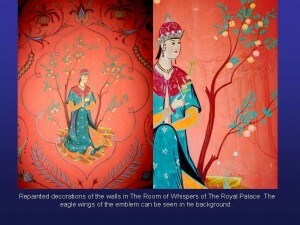 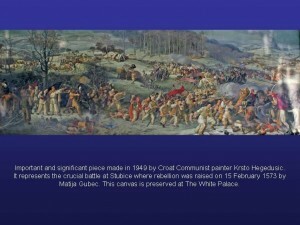 The third category of post Second World War symbols in The Royal Compound is represented by paintings, statues, monuments and useable objects with an ideological content. 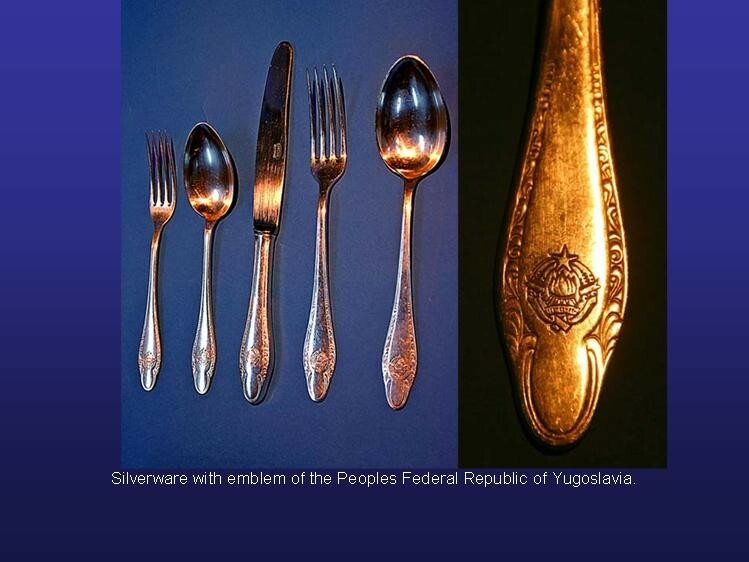 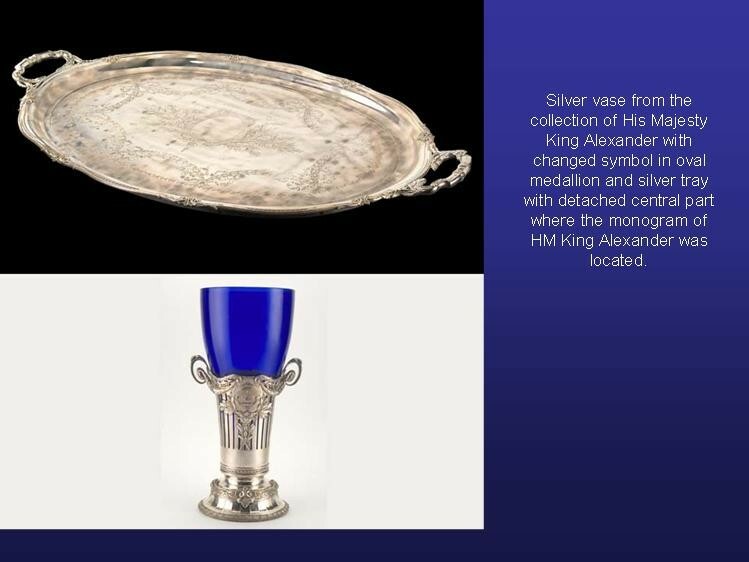 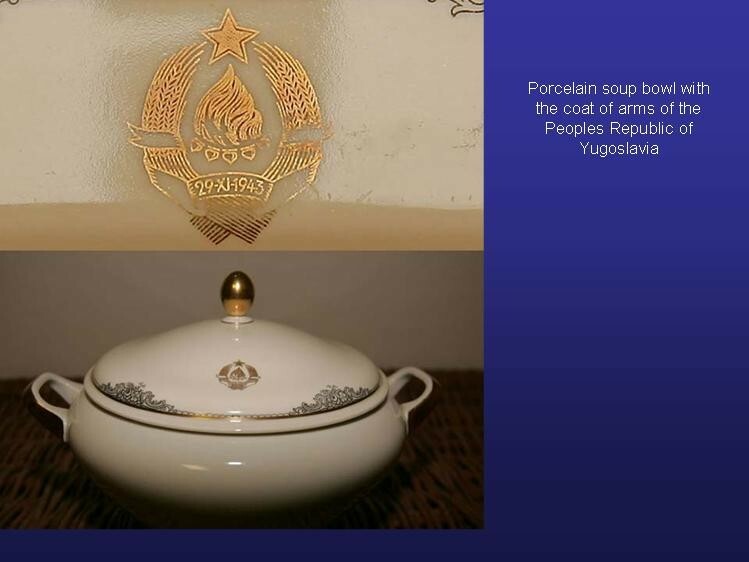 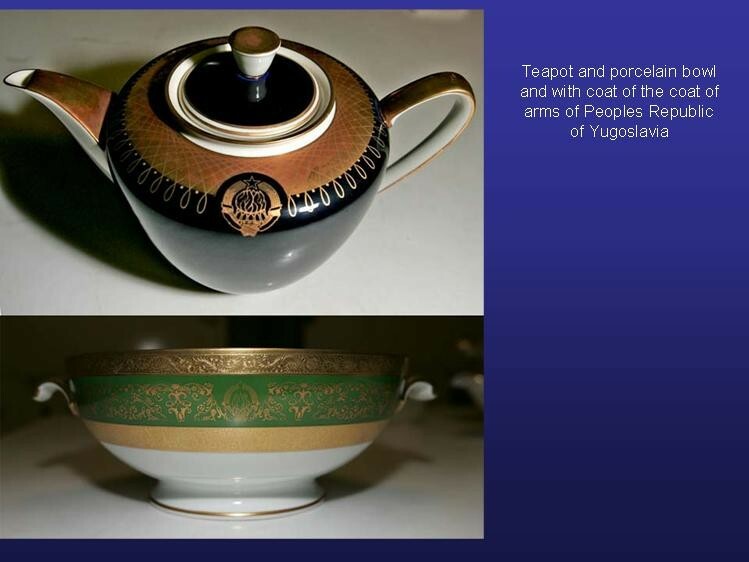 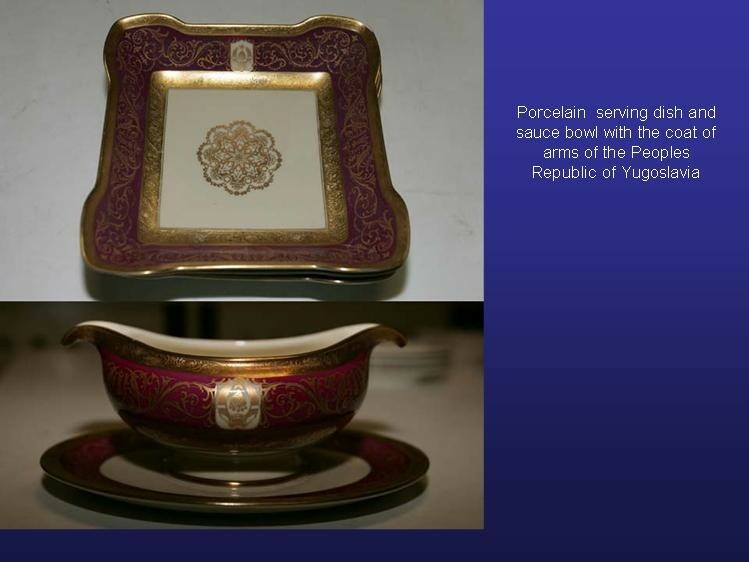 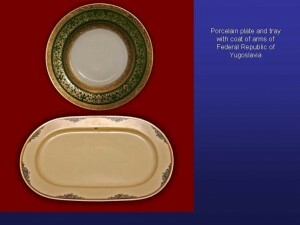 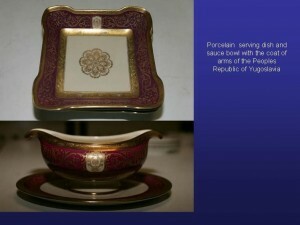 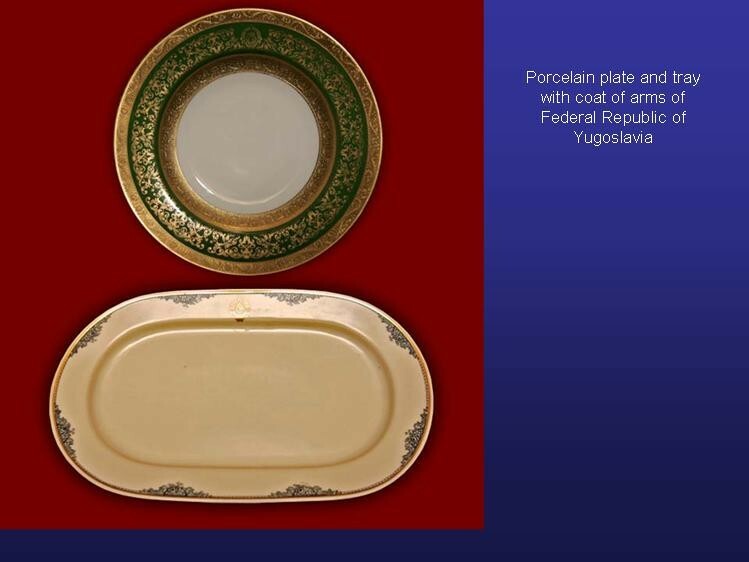 Useable objects include silverware, silver with removed monograms of King Alexander, and with added symbols of Communism or the People’s Republic of Yugoslavia. 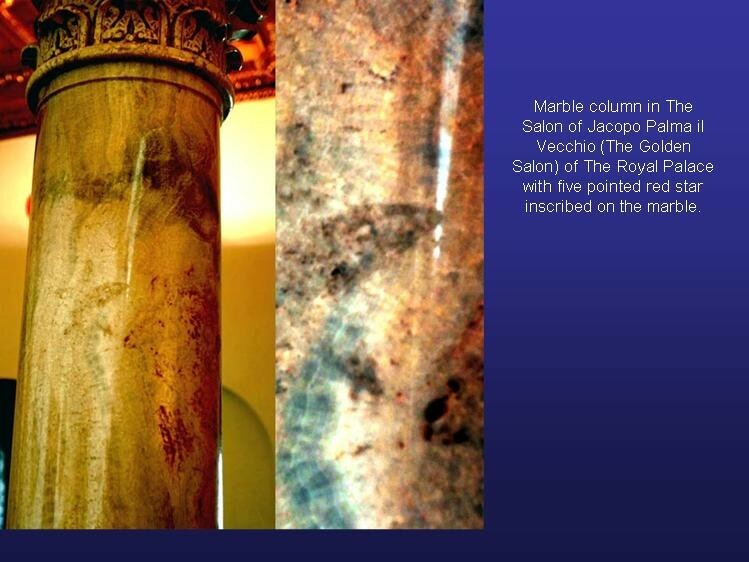 The shapely marble pillars of the Golden Salon of The Royal Palace were not spared the markings of the ideology and on one of them the trace of an engraved red star is visible. 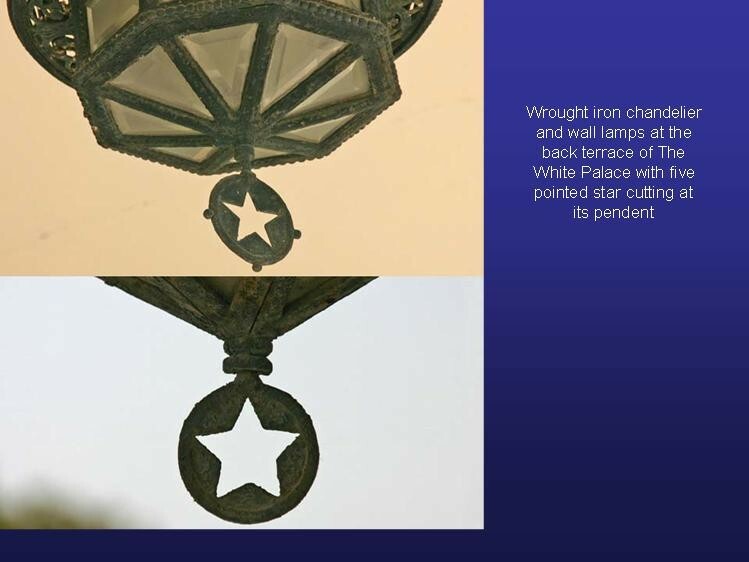 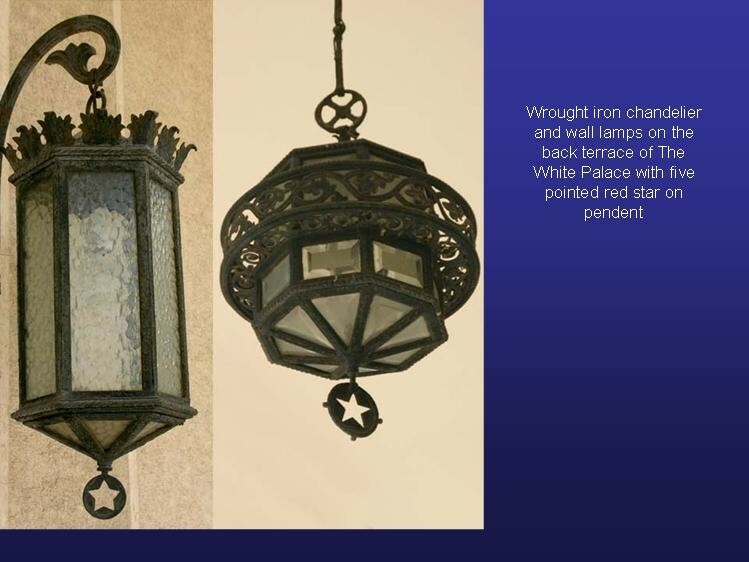 Chandeliers of forged steel located on the back terrace of The White Palace have five-pointed-star-shaped openings. 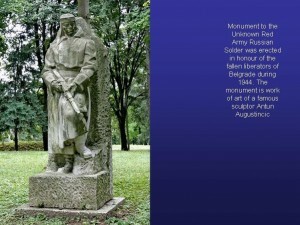 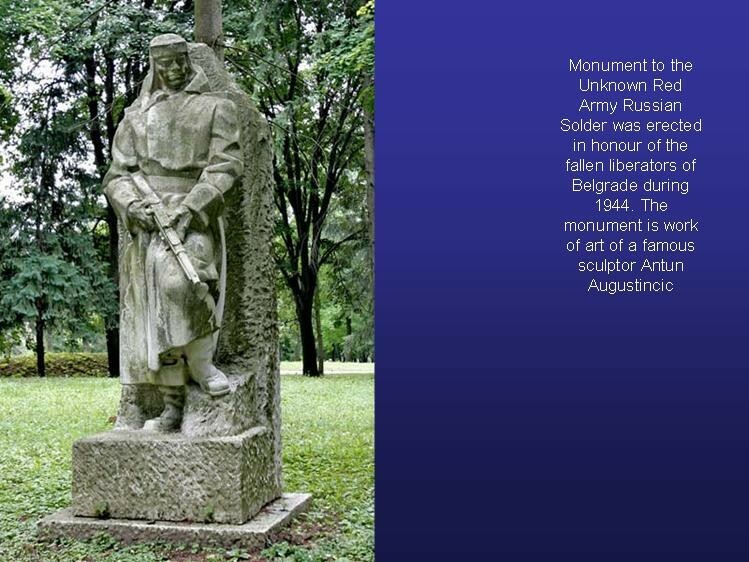 Monuments include one on the main road, leading to The Royal Palace, dedicated to a Soviet soldier of the Red Army, the work of Anton Augustincic. 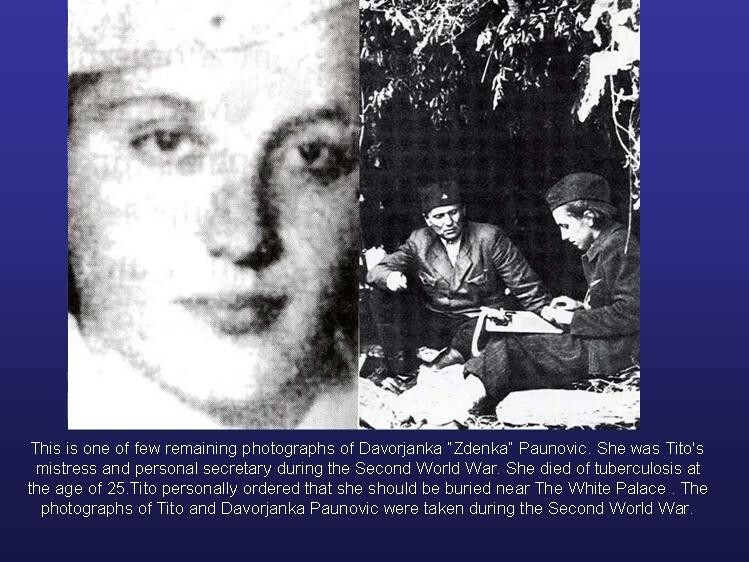 One place of great interest and attention is the grave of Davorjanka “Zdenka” Paunovic, secretary and fellow Partisan of Josip Broz Tito who had much affection for “Zdenka” and had her buried following her premature death only 200 meters from The White Palace. Many photographs testify that in The Royal Palace dignitaries were received and had even stayed there – state officials, presidents, emperors, kings, ministers and dictators. 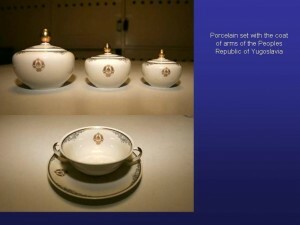 The White Palace was used for official visits, meetings and receptions of the Presidents of the Socialist Federal Republic of Yugoslavia and the Federal Republic of Yugoslavia. 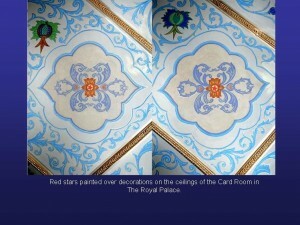 Ambassadors presented their credentials in The White Palace.